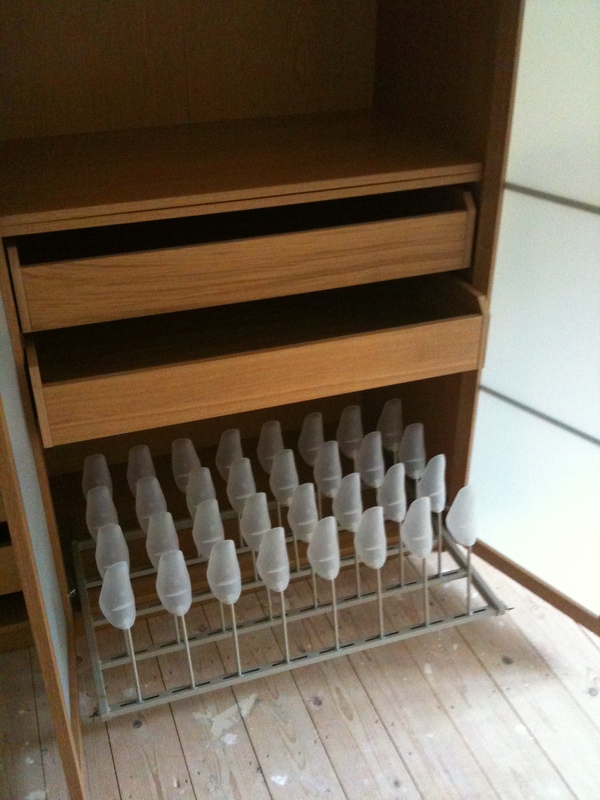 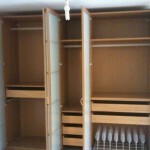 Most of our wardrobe work is based on installation only. 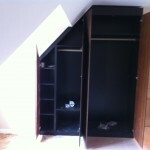 The main reason for this is the incredible value for money large home stores such as Ikea can offer. 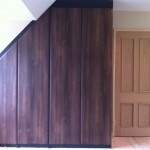 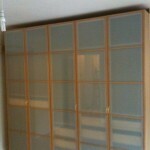 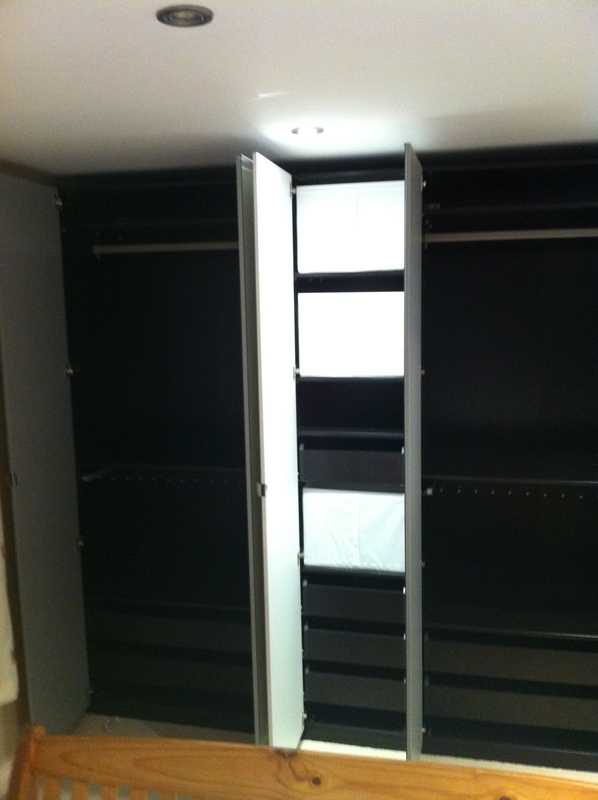 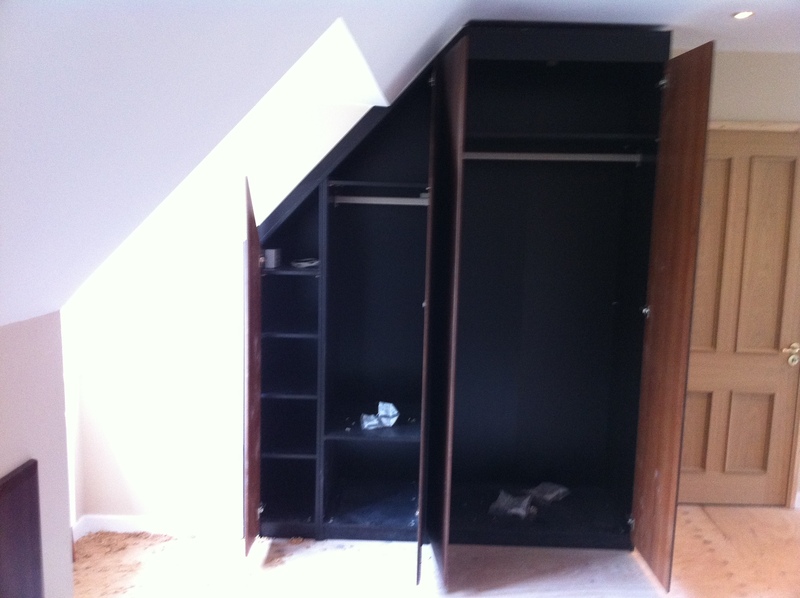 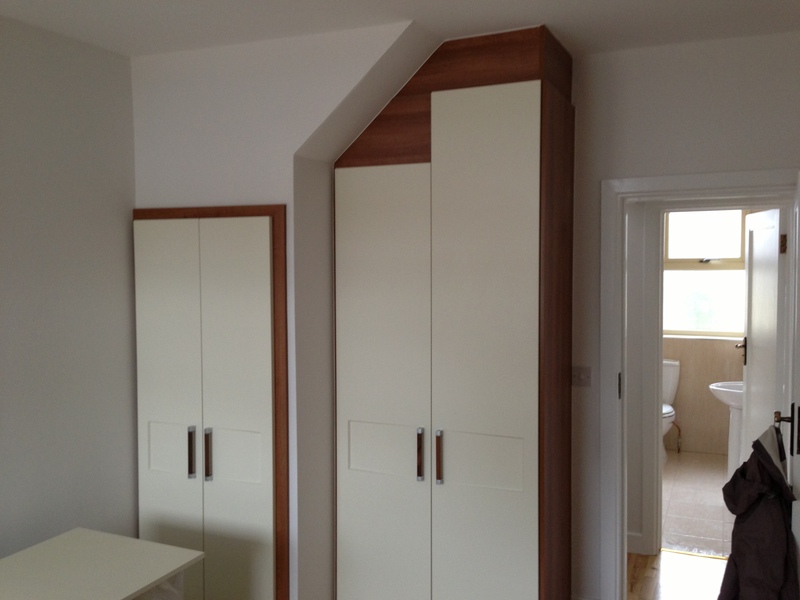 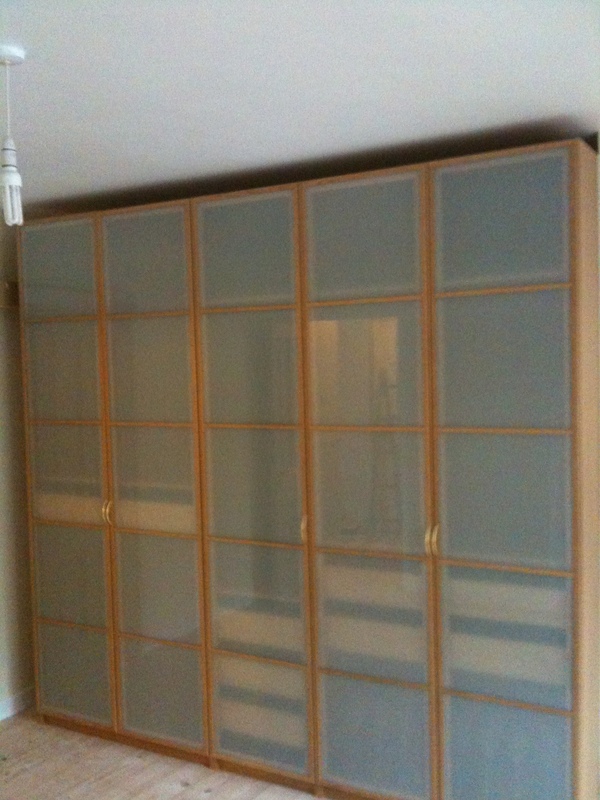 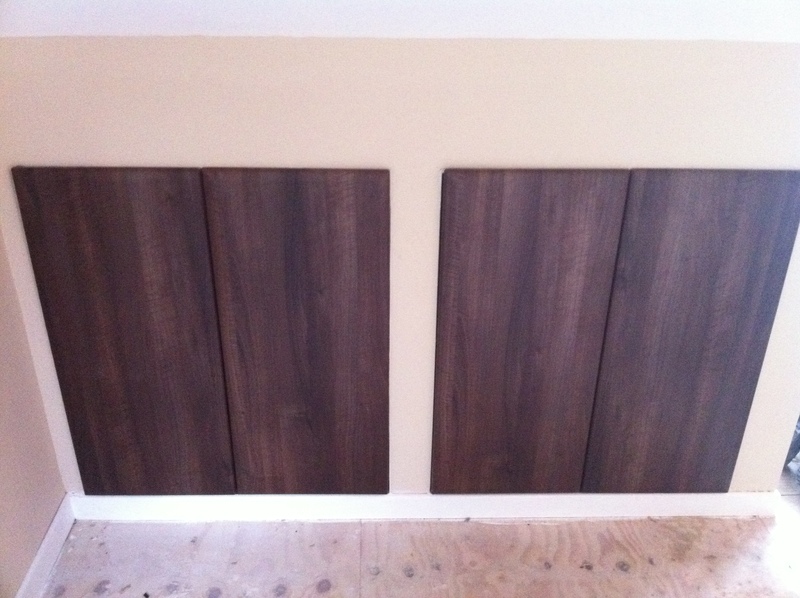 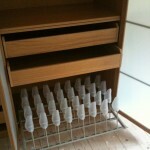 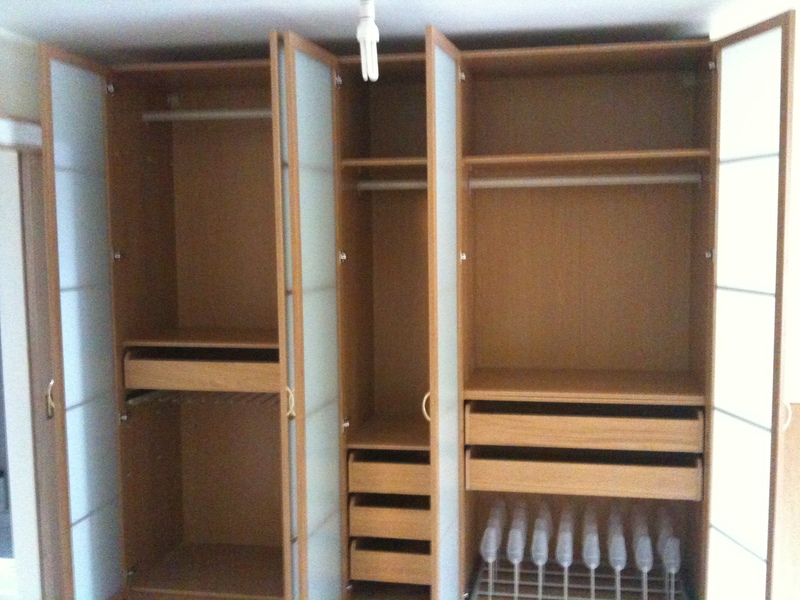 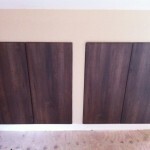 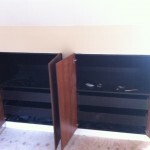 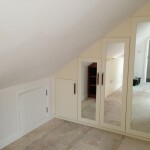 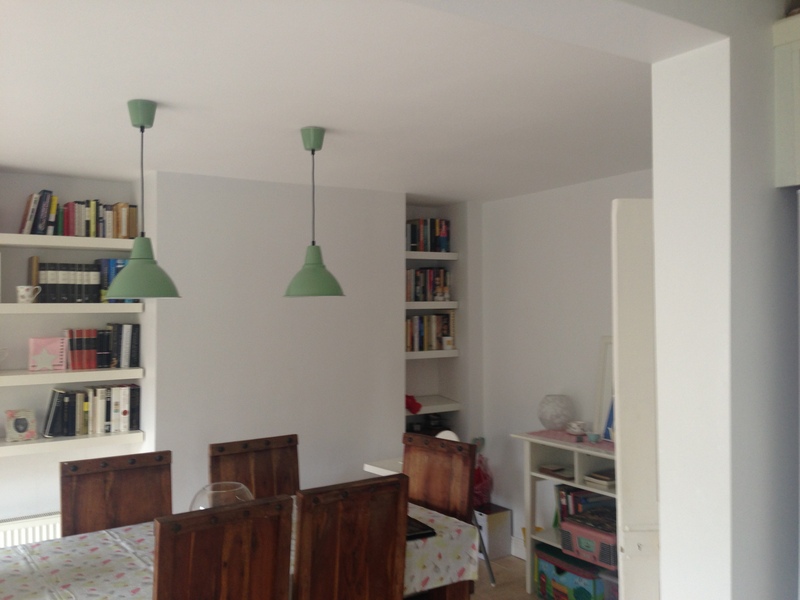 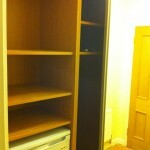 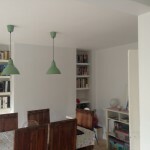 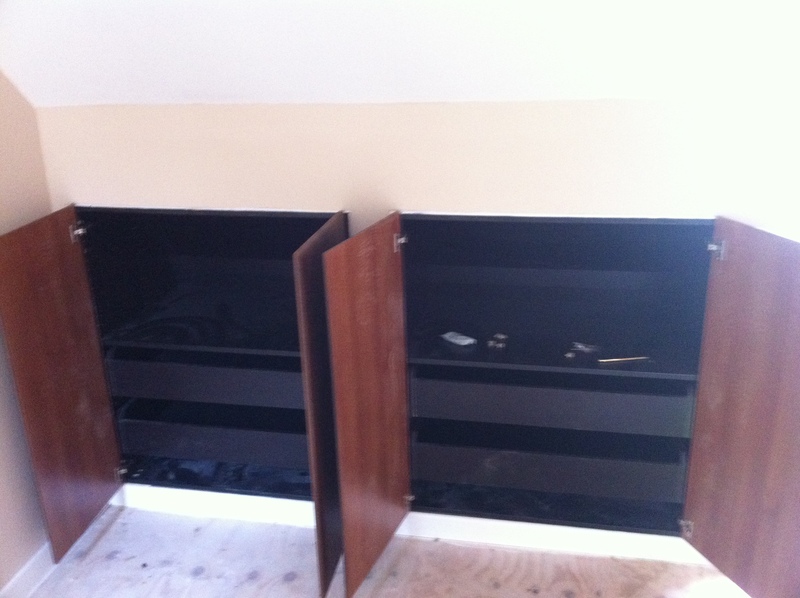 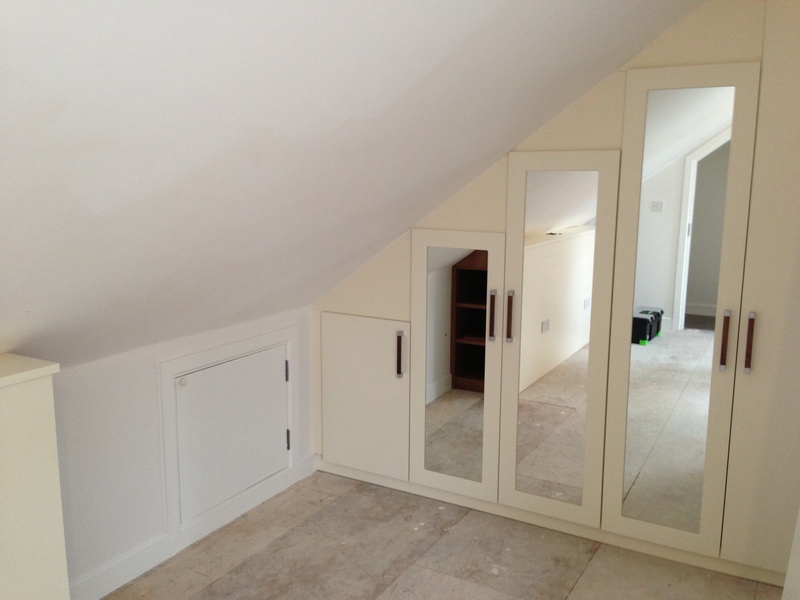 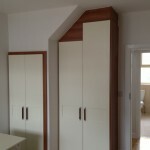 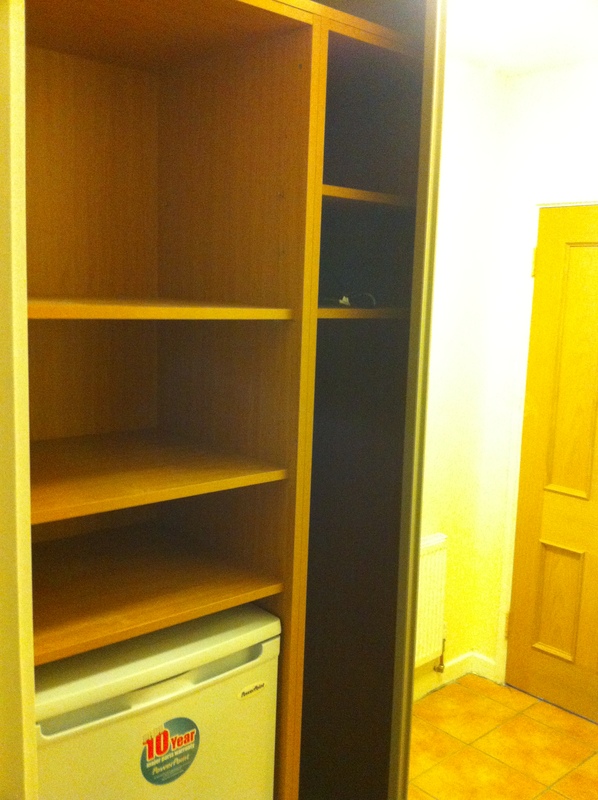 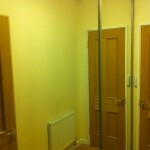 We will help you set out and choose your wardrobes and we will then install them. 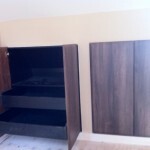 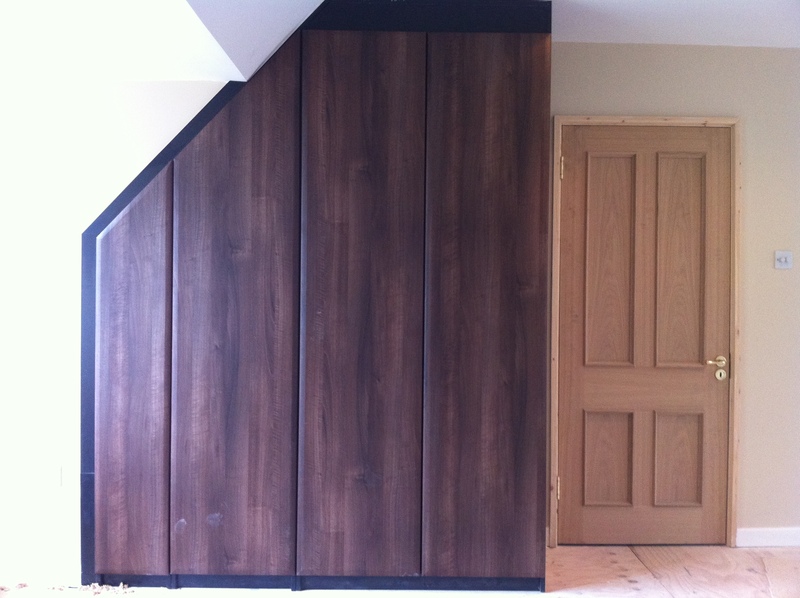 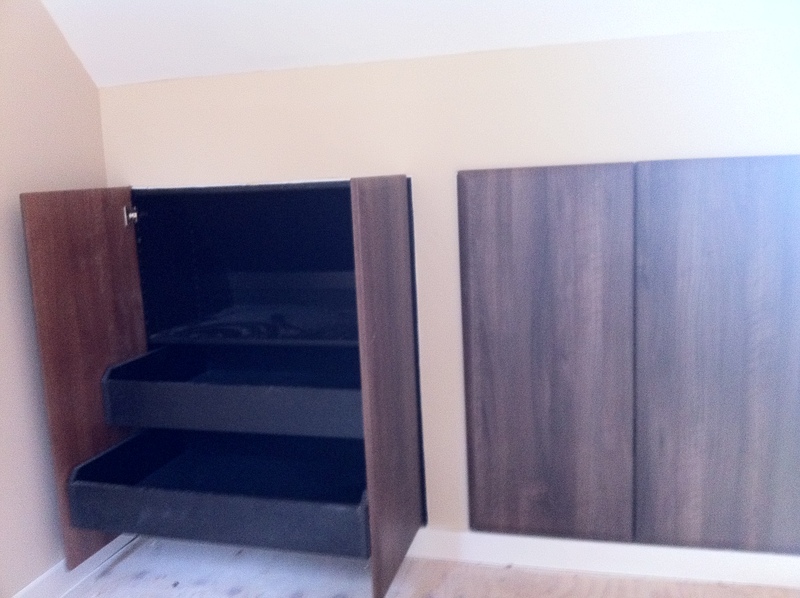 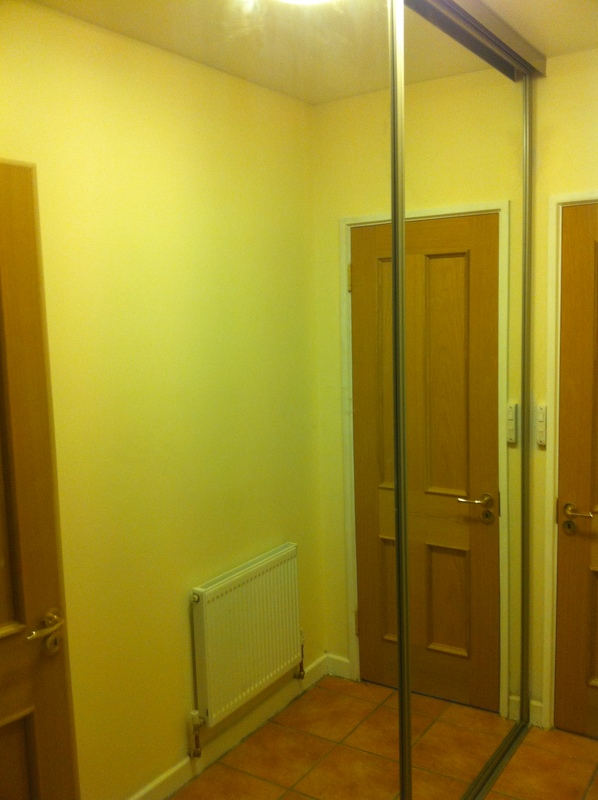 We can also custom make any style of wardrobe to fit any space required.We can also supply sliding doors and tracks at very competitive prices.